Portwest Classic Rain Jacket, Small to XXL, 3 colours - Black - XL | What Should I Say? Huge Savings Item! 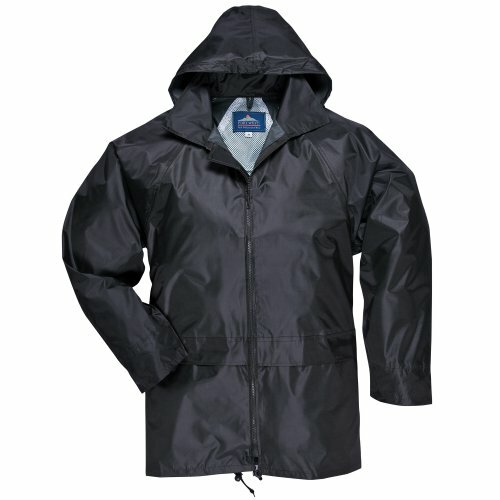 Save 15% on the Portwest Classic Rain Jacket, Small to XXL, 3 colours - Black - XL by Portwest at What Should I Say?. MPN: UTRW1022_12. Hurry! Limited time offer. Offer valid only while supplies last. Two large hip pockets and flaps. Zip fastening with inner storm flap. Back vent for ventilation. Drawstring hood and hem. Elasticated storm cuffs. Two large hip pockets and flaps. Zip fastening with inner storm flap. If you have any questions about this product by Portwest, contact us by completing and submitting the form below. If you are looking for a specif part number, please include it with your message.